Creating inspiring, welcoming and relaxing spaces for reading and research. We support rich reading resources and accessible digital databases within our library learning commons, across campuses, and into our community. Our partners include Placer County Library and the California State Library. We've been visiting other libraries, including the re-visioned Library Learning Commons at Sierra College. Listen to an interview we had with Sierra's Dean and Librarian, Sabrina Pape. Click through pictures of this welcoming collegiate space on the Rocklin campus. Placer Union is embarking on a think tank process to craft a new vision for our libraries. Three areas are under consideration by a diverse team of staff, faculty & community. The Placer County Library provides library cards to all PUHSD students and access to their collection digitally or at one of their branches located in our high school communities: Auburn, Colfax, Foresthill & Loomis. The California State Library provides free digital access to ProQuest, Encyclopedia Britannica and Teaching Books. 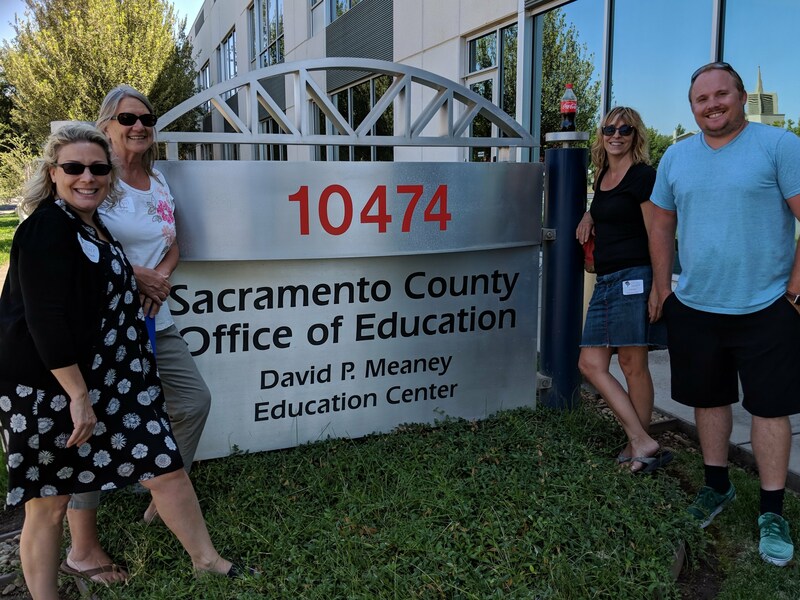 We attended a training at Sacramento Office of Education in August to learn about these resources. Library staff take in a training on the California State Library reading and research resources. Along with Rotary, Sierra College, Placer County Library, and Placer County Office of Education, Placer Union is a sponsoring partner for Auburn's One Book One Community, a series of community events themed around one author and their recently published book. It's a celebration of reading and an opportunity to engage our neighbors in relevant regional and national issues. Visit OBOC's website for this year's title and event dates. Then get out to a bookstore, pick up the book, and get ready to join the conversation! We're energized by the surge of interest in school and community libraries. Here's a recent NPR interview of Susan Orlean, author of The Library Book. Enjoy listening to her insights about the public places that enrich our learning and lives. Podcasts are an exciting medium that students are embracing. Here's an interview of the Librarian of Congress, Carla Hayden. Favorite quote: "Librarians are the original search engine!" Here's a link to this amazing national treasure that archives books, music, interviews, and fascinating artifacts of the United States. Go LOC! Note: Resources are bookmarked on chromebooks. Choose great reads while on your Chromebook and then pick 'em up while on campus. Reserve the latest fiction title today and share an online review once you've turned the last page. All students are issued a Placer County library card to acces the following free services via their chromebook. Courtesy of the California State Library, students and staff have password-free access while on campus. For off-campus password access, ask our library staff. Here's a short video overview. Here's a place to start your research for images, accurate information, and insights. Access here.